From the Desk of the President: KCU Safety and Emergency Management Named "Top Department"
KCU Safety and Emergency Management Named "Top Department"
KCU's Department of Safety and Emergency Management has been nationally recognized for its efforts to make a difference in campus safety. 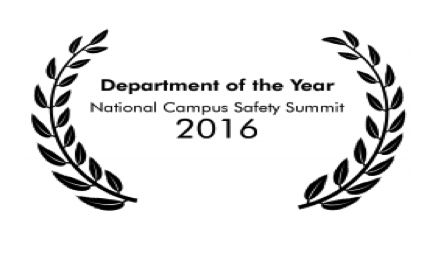 The National Campus Safety Summit ranked nominees for the "Top 25 University Departments," and KCU placed 25th nationwide. outstanding safety and security team.